On Wings of Eagles: What Does God Say About Staying Busy? 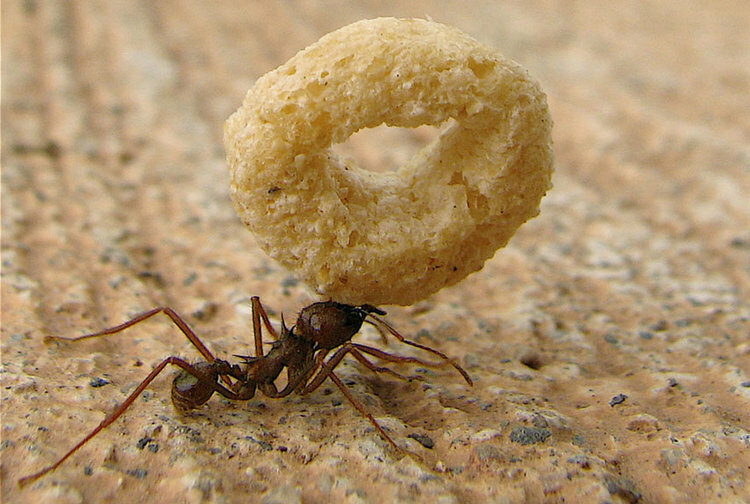 Have you ever seen an ant marching on the sidewalk or in an anthill? Have you ever seen an ant just sitting around watching and waiting while all the other ants on the march do all the work? You can leave a bread crumb outside your home on the sidewalk or driveway for a few hours and watch to find out the answer! Consider the ants! You can learn from them about keeping busy this summer. Here are some ideas. If you see an empty soda can on the playground or left by the sofa, put it in the trash, even if you didn’t leave it there. If your parents need help with the yard or garden, try pulling weeds or picking fresh vegetables! Maybe you can give the vegetables to a homeless shelter. Did you sleep in and miss time with your friends? Get up earlier, and have a great day full of fun and friends! How about being wise every day? God is delighted when we are wise and productive — like the ants! Dear Lord, thank You for giving us ants in Your Creation to help us become more like You. Help us to be more like the ants — to stay busy and wise for Your kingdom. Show us when and where to serve You by helping others and not giving up when there is a challenge. In the Name of Jesus, Amen. Labels: What Does God Say About Staying Busy?